Why Choose Native American Jewelry Colorado Springs Offers for Your Wedding Ring? Opting to wear Native American jewelry Colorado Springs jewelers offer may not be the first thing that comes to mind when it comes to engagement or wedding rings. The usual choice for women is a gold or silver wedding band dripping in diamonds or other precious stones. Men, on the other hand, prefer to keep it simple with a band made of metal such as gold, platinum, palladium, tungsten, titanium, and silver. They may go as far as choosing a ring with etchings, inlays, and other details, but that’s about it. But why take the usual route when you can be unique? What Comes with Choosing Native American jewelry Colorado Springs? Whether you’re a local American or someone looking for something unique for your wedding, Native American jewelry offers more than just intricate designs. 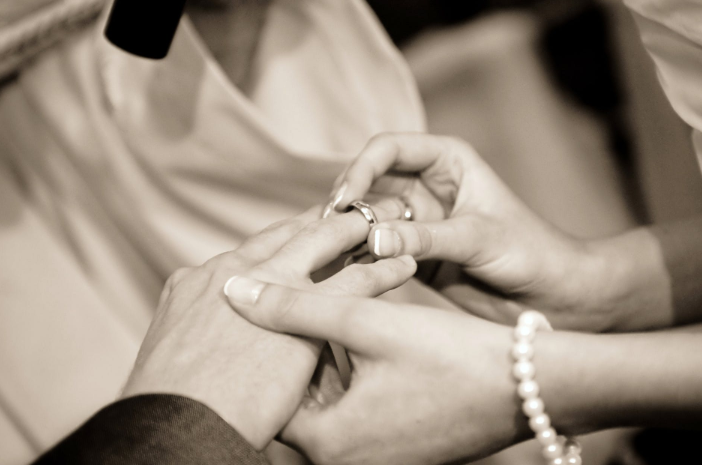 The traditions of swapping engagement rings and the sliding of wedding rings in front of everyone is a time-honored tradition in Native American society. It dates back to the Roman Empire and continues to this day. Native Americans also believe that the ring is connected to the heart by the Vena Amoris or the romance vein. After all, the left hand where the wedding ring is placed is close to the heart. Traditional and romantic at the same time. What more could you ask for? Native American engagement rings not only indicate the perfect unbroken circle of affection but also show the world a couple’s willingness to be one in love and marriage. If the engagement ring has such symbolism, imagine the kind of message a Native American wedding ring conveys, especially with your choice of stone. Turquoise, for example, denotes wealth, success, and protection for the individual wearing it. Different Native American tribes have different ways of creating jewelry. These indigenous people use gemstones and integrate designs of tribal area rugs or local creatures into their creation. The Navajo craftsmen, for example, prefer stamp work when creating rings. Their work often involves the use of turquoise, silver, and tribal rug designs. Suffice it to say that Native American jewelry is as unique as it gets. Combine it with the tradition, culture, and symbolism behind every piece, and you’re getting the whole package. We not only sell the usual choice of wedding bands but also Native American jewelry Colorado Springs clients recommend. With the goal to cater to a wide range of customers, we offer hundreds of pieces of Native American Jewelry in our Manitou Springs Showroom. Choose pawned jewelry from the 1950s to a Hopi belt buckle and other intricately designed pieces. We will custom-make jewelry, too. Contact us today for an appointment.